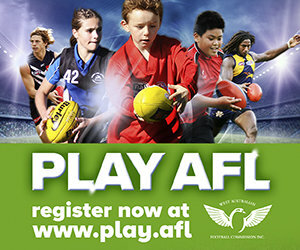 Midway Ford is the Official Umpire Sponsor of the Perth Football League. All Panel and Club, Field, Boundary and Goal Umpires must be attired in the official umpire uniform branded with Midway Ford on the back of the shirt. Shirts, Socks and Hats for umpires can be purchased from the Perth Football League or at Umpire Training at Ernest Johnson Reserve Tuesday's and Thursday's from 5.30pm. Field and Boundary Umpire Uniform: Orange Midway Ford branded top, black shorts, orange socks. Goal Umpire Uniform: Orange Midway Ford branded top, black pants.